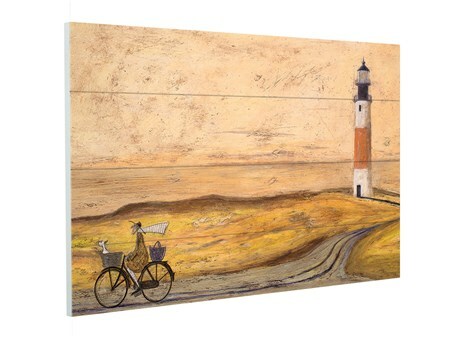 Glowing in a midsummer sunset, Mr Mustard stretches the day out to it's end as he winds away down the beach cliff. 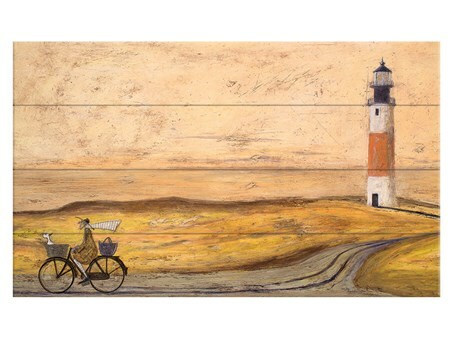 With his trusty companion little Doris sat in the wicker basket, the pair set off back towards home from their visit to the lighthouse, not worrying about the time. 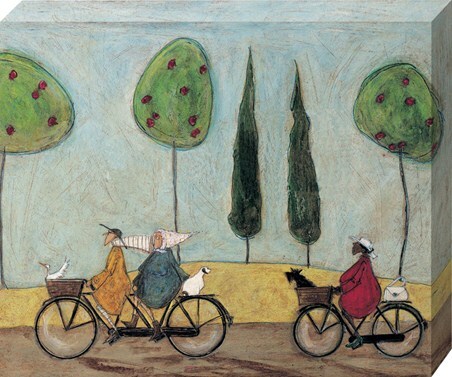 This rustic and heart warming wooden wall art by artist Sam Toft is the perfect reminder to enjoy those long days with your loved ones. 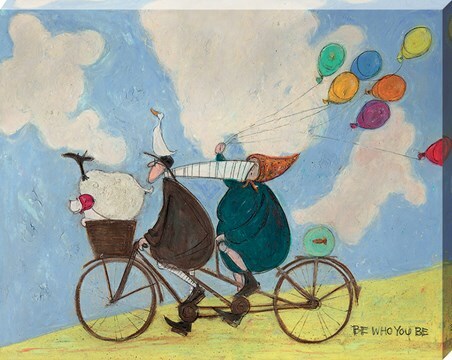 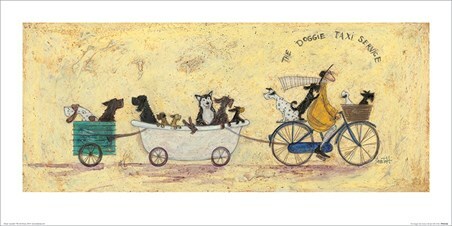 High quality, framed A Day of Light, Sam Toft wooden wall art with a bespoke frame by our custom framing service.